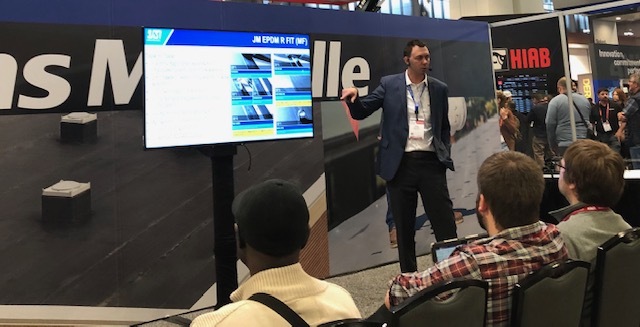 This year’s 2019 International Roofing Expo was hosted in Nashville, TN. 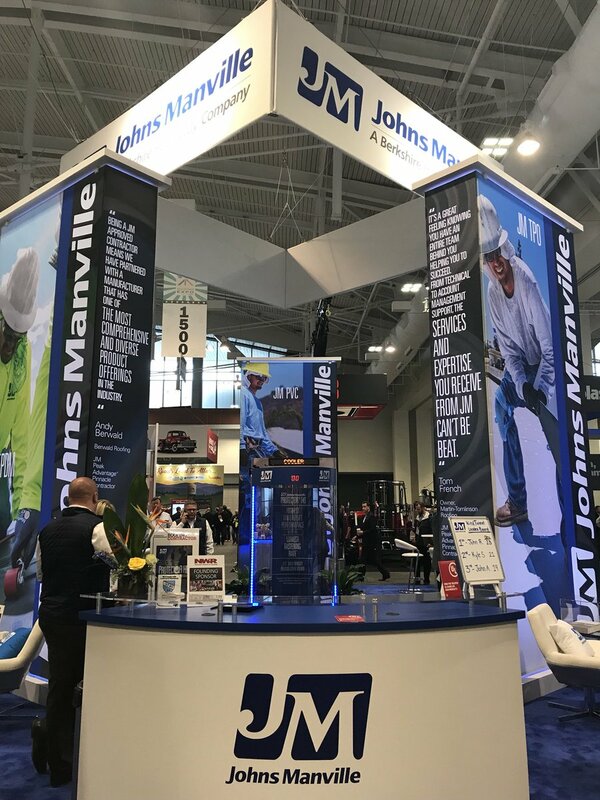 Johns Manville announced the latest additions to our EPDM, TPO and cover boards product lines. Our new additions include the new high-density polyiso cover board, ProtectoR™ HD, JM EPDM Tape Primer Plus and JM EPDM One-Sided Pre-Taped sheets as well as JM 12-foot TPO and JM TPO SA. Check out the full press release here. Check out more about the show highlights below. Saturday was all about National Women in Roofing. An untapped workforce that can bring quite a bit of talent to the industry. 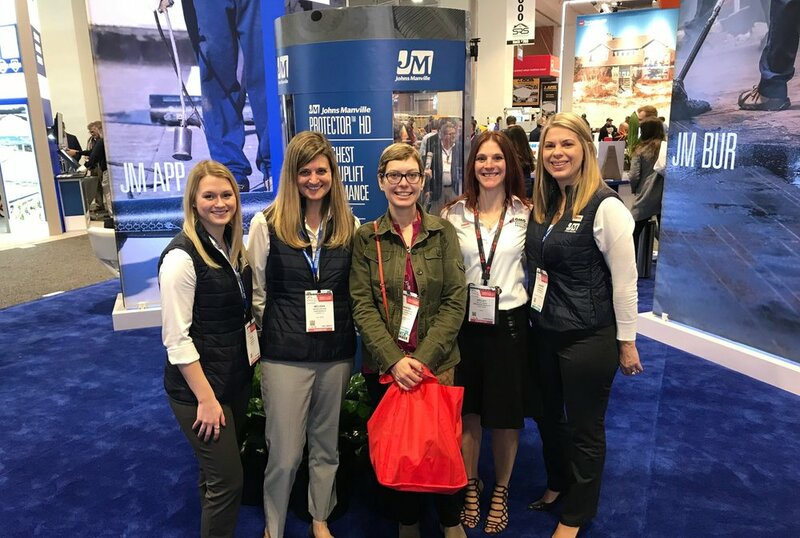 This year was the 2nd annual National Women in Roofing Day and was hosted at the Music City Center in Nashville, TN during the 2019 IRE. Sherry Holmes of the DIY Network Show, HOLMES Makes it Right delivered this year’s keynote speech. She shared her challenges and successes as a contractor. Read more about her here. The organization’s sponsors kicked off the event with a presentation about the industry. 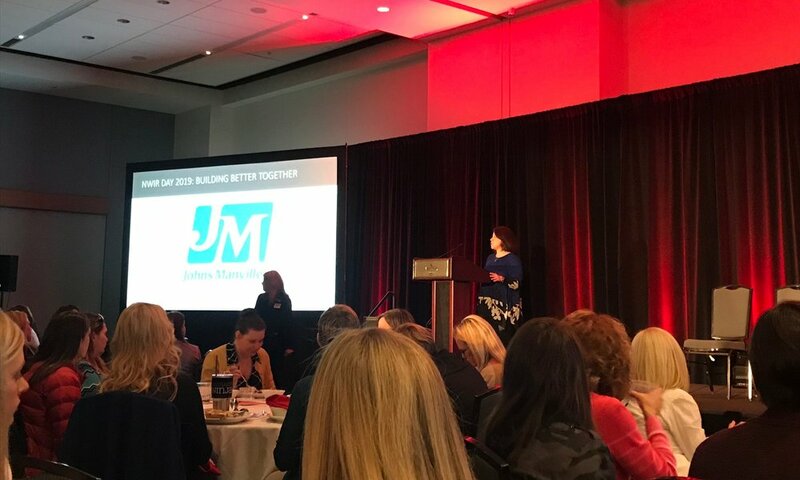 JM, a founding and diamond sponsor, was recognized at this year’s event. Tesha Kroll, Director of Product Management spoke on behalf of JM. We are also excited to announce that our very own Jennifer Stone, Preferred Accounts Manager in the Pacific, is the incoming NWIR Chair. Congratulations, Jennifer! The event also hosted a mentoring event with break-out sessions, round tables, and discussions. Everyone used this opportunity to discuss their career in the industry, competitive advantages, network with other people, watch live demonstrations, and learned about innovative business success. During the break-outs, they also discussed certifications and advantages for women-owned businesses. For the first time in the history of NWIR, a sponsorship program was put in place to take several women to IRE, all expenses paid. The sponsorship encouraged first time attendees who work for a contractor to show them what NWIR is all about and the comradery that it brings. Jennifer Wrightson with Rockwell Roofing, Inc out of Leominster, MA was one of the few ladies chosen for the sponsorship. Read more about this year’s winners here. This year’s Roofing Institute was a full house! We had presentations ranging from, protecting your investment with cover boards, to systems solutions addressing field constraints and industry trends to expect in 2019. Thank you to everyone that visited us in Nashville! We are looking forward to a great year and to seeing everyone in Dallas next year!